(L to R) Thom Gonyeau and Stephen Pruitt, principals with Atlanta creative agency Mountain View Group. 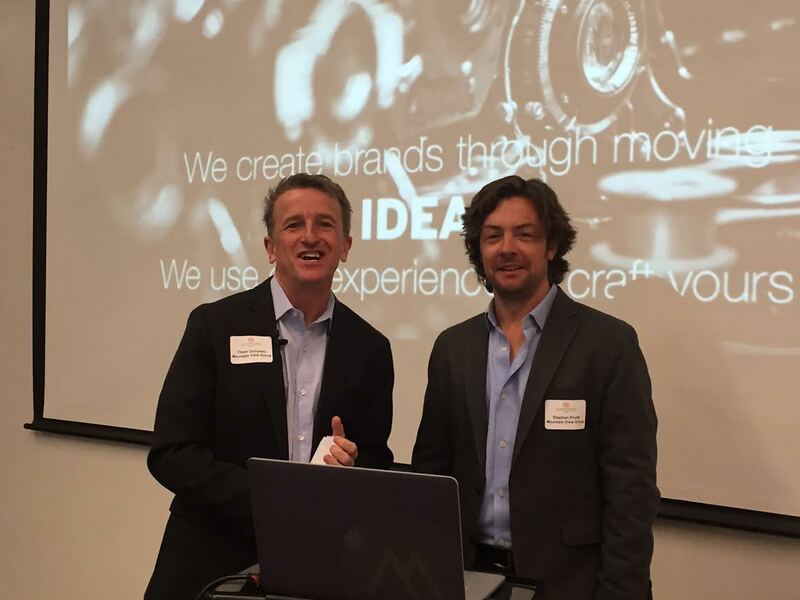 Mountain View Group, an award-winning Atlanta-based creative communications agency founded in 1981 by a documentary filmmaker, wowed professional communicators on Jan. 26 with their insights on the power of video storytelling. Gonyeau, a creative storyteller for over 20 years, was joined by principal Stephen Pruitt, as they shared the keys to engaging people’s hearts and minds in today’s video age. Noting that “a very high value is placed on video content,” Gonyeau cited a statistic from B2B Marketer that over 80% of B2B marketers now rely on video content in their annual communication plans, posting video via corporate websites, YouTube, video blogs and even six-second Vines. ChiefMarketer.org, reports an even higher percentage of video usage at around 96%. “In the B2C space, you are talking about 100%,” he added. Gonyeau called the “holy grail’ of video storytelling is when companies take a long-term approach to their video strategy rather than doing one-off videos. Pruitt explained that video isn’t always the best communication tool if one needs to present a lot of detailed information. But it’s a great medium to excite, engage and emotionally connect with people. “Video can stir the imagination – it’s a great vehicle to showcase people, places…it’s also a great way to motivate people to want to learn more,” he said. One thing is clear, Mountain View Group knows its stuff. Pruitt said the team tackles an average of 150 projects a year, from corporate videos, animation and commercials to graphic design, communications strategy planning to social media. Last year at the IABC Atlanta’s annual Golden Flame Awards, the Inman Park creative firm won eight Golden Flames for their work. Gonyeau said there are three ideal times for a video story: at the birth of a new company, when a company is going through major change, and when it is facing real challenges. 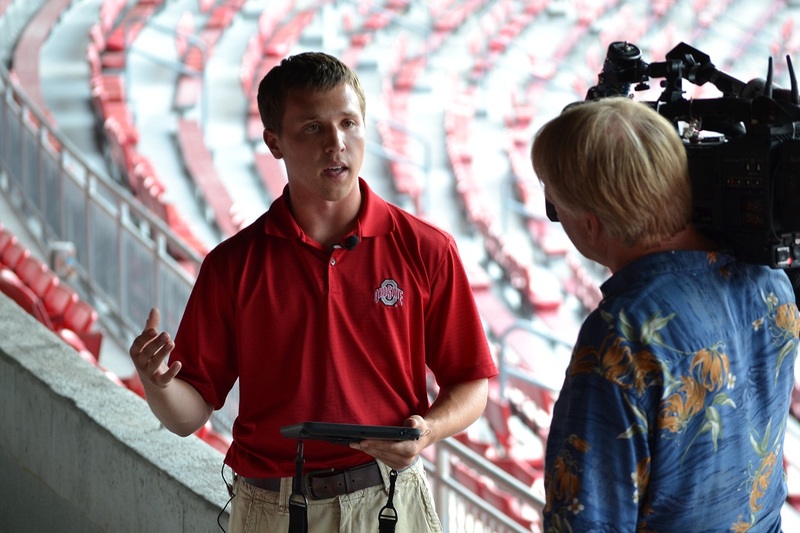 In the case of change, video can “bring some certainty to the chaos.” During times of challenge there’s “an incredible opportunity to use story in an authentic and purposeful way to get your message out there,” he said. Mountain View’s team of 15 full-time creatives takes a process-driven approach to helping their clients strategically think about their video project. They start with the “Creative Brief” – a consensus-building tool that enables client and agency to jointly define the project deliverables and the purpose and objectives, including audience and key messages. From the Project Brief, Mountain View’s team defines their client’s story. A storytelling worksheet helps the process along – it embraces the classic three-act screenplay structure, including the concept of a hero. This entry was posted in Brand Strategy, Social Media Tips, Storytellers, Video Storytelling, Writing Tips and tagged Video marketing on February 1, 2016 by AnneWainscott. Book Marketing: What’s Your Strategy? 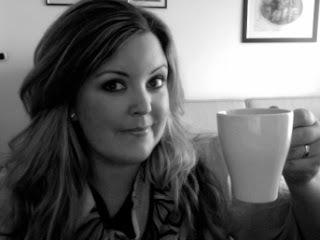 Writing your book is the hard part, right? Well, if you’ve completed your manuscript, had it published, and started down the road of sales and marketing, you know the previous statement is absolutely not true. Marketing is the hard part, as any experienced author/writer will tell you. 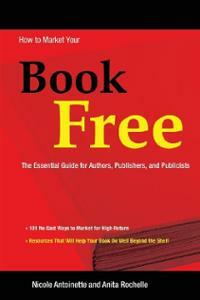 Trouble is, most writers don’t have a clue how to market their book. You’re a writer, after all, not a marketing specialist. Marketing, however, is THE most important aspect of book publishing, and the one that receives the least thought and attention from the writer—the one who will ultimately do the marketing. Yes, you, as the writer/author, will also be the name, face, brand, and executor of the marketing plan for your book. But how do you do that when you don’t know the difference between a press release and a speaker sheet? Not only that, who pays for all of this marketing stuff? Remember, you (or your publisher) have limited marketing time and limited marketing dollars, so you’d better use both wisely. Know your target audience. Trust me, your target audience or ideal reader is not EVERYONE. Narrow it down to the one person who would get the most from your book or who would enjoy it most. Think of your book as a service to others. Which person or person type would be best served by the content of your book? Describe him/her as thoroughly as possible. Seek and find. Knowing your target audience helps you determine where to find him/her. Determine what blogs, podcasts, magazines, radio shows, venues, activities, social media sites, etc. your target audience most enjoys. Visit and engage within these outlets in the form of visits, posts, comments, likes, shares, etc., then determine if your limited marketing dollars would be well spent there based on the response you receive from the audience. 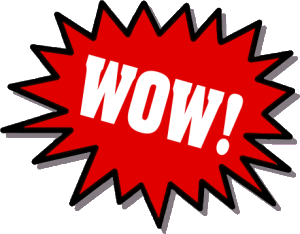 Identify your big wow. What is the ultimate result you want to accomplish with your book? Make it measurable. Is it number of book sales, dollars earned, clients booked, speaking gig invites, media exposure, awards won, or something else? There are no wrong answers here. Just know what you want, assign a number and timeframe to it, and go for it. Get some help. There are few things worse than watching someone struggle to do something when getting help would make it so much easier. Marketing is one of those things. Why struggle to build a website, apply for awards competitions, submit news pitches, post regularly on social media, schedule book signings, and more when there are experts who can do these tasks much faster and with a greater level of professionalism than you can? 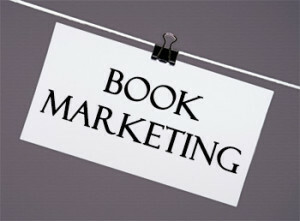 Hiring professional marketing help is probably the best investment you can make in your book project. These are only a few strategies to consider. Choose the one(s) that work best for you, then develop a plan to get results. 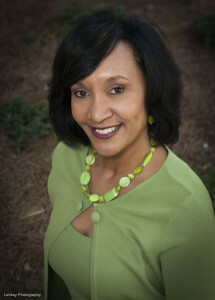 Anita R. Paul Henderson is known as The Author’s Midwife. 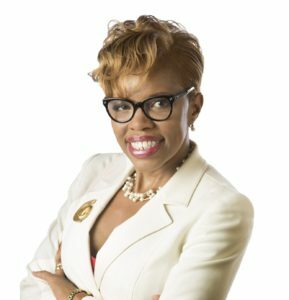 Through her Write Your Life program she coaches professionals and entrepreneurs to develop engaging book content, publish it, and market it for success. 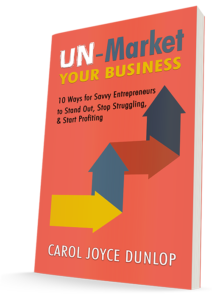 She is co-author of five books, including How to Market Your Book Free and Publishing as a Marketing Strategy. She is also co-creator of Write Books That Sell Now, a digital program to help authors write, publish, and market their self-published books. She can be reached at www.WriteYourLife.net. This entry was posted in Blogging, Book Publicity Tips, Brand Strategy, Social Media Tips and tagged Anita Paul, Book marketing, Book publicity, Marketing strategy on August 11, 2015 by AnneWainscott. As a girl, Lauri Quinn Loewenberg loved to watch astronomer Carl Sagan host “Cosmos,” his TV show based on his bestselling book that explored the universe. holistic counselor and a leading authority on dream psychology. 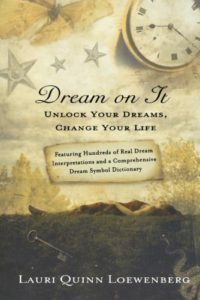 As author of the 2011 book, Dream On It, Lauri helps people interpret the meaning of their dreams so they can live more fulfilling lives. 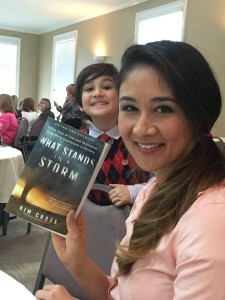 Below, she shares her process of writing her book, now available in 10 languages, and which continues to garner significant media interest with major news outlets such as Dr. Oz, Anderson Cooper 360, The View, Good Morning America and The Today Show. Q. What was the most memorable dream you ever had? Lauri: There’s two. One propelled me into studying dream analysis and psychology because I wanted to know why. About two weeks after my grandfather died, I dreamed of him and in the dream I knew he was dead. I asked him, “What’s it like where you are?” He said, “I can’t tell you. All I can say is it is secure.” Then he hugged and went up the staircase and I woke up. I could still smell his Old Spice. It was such more than a dream – what was that? The other dream was a lucid dream, which is where you are in the dream and you know it’s a dream. This one was after my second miscarriage and I was deep in a depression. I tell people when you become lucid in a dream to ask someone a question and see what answer you get. In this dream, there is no one in the dream. It’s just me standing in my son’s bedroom. I wanted to know so I just asked the dream itself, “Is there anything I need to know?” I felt this giant warm hand lift me up and say, “Everything is okay.” I woke up from that dream and I really think it helped in the depth of depression I was in. One of the reasons dreams are so profound and meaningful and helpful is because your eyes are shut, the lights are out, the TV is off. You’ve turned out the outside world and as you sleep that stream of consciousness you’ve had with yourself all day goes deeper and deeper into yourself so when you are in the dream state, you are thinking in metaphors and symbols instead linear with words, so you don’t have distractions – you don’t have the phone ringing, or this talk you have to have with yourself. It’s your brutally honest core – a lot of people think dreams are the language of the soul. That’s a great expression. My first two were self-published and then a literary agent came to me and said, “I would like to get you published-published. “ Literally a month after she came to me we got a deal with St. Martin’s Press. I was out there a lot in radio and print so she thought I would be a good author for the book. Q. What do you want people to get out of Dream on It? Lauri: A couple of things – one, I want them after reading the book to have no doubt whatsoever that dreams have meaning. I want them to start paying attention to their dreams. Dreaming is a natural function of the brain. It’s your core authentic self. Your dreams are there to guide you through every single step of your life. Every little detail in your dream relates to your waking life. So if you pay attention to them, you will get a huge edge in life; you will live the life you were meant to have. Don’t ever disregard any dream you ever have. The more horrible the dream, the more important it is. I have a very big chapter on nightmares because the nightmare is connected to our most difficult issues – the issues we mishandle and the issues we ignore. That’s the thing about dreams – you can turn a blind eye and pretend something is not going on all day, but when you go to sleep you are forced to face it and work it out. Q. How has the field of dream psychology changed since you began doing this almost two decades ago? Lauri: In the beginning I would get a lot of pushback from some people. One sect would say, “Only Jesus can interpret your dreams.” Another sect would say, “It’s only random misfiring’s of your brain. People have been so closed off to the possibilities that there is something to dreaming but in the last decade, it has changed dramatically –way more people are open to their dreams having meaning than they used to be. Q. What’s been the most surprising aspect of all your research for Dream on It? Lauri: I hear the craziest stuff as you can imagine. The most surprising thing to me is how our dreams are such a renewable resource of wild and crazy imagery. The dreaming mind is so deep and creative, and it’s always coming up with something new. Even with all the thousands of people I’ve worked with over the last couple of decades, there’s always something original that I never heard before in a dream. It’s just amazing how deep the mind can go. Q. What was your writing process like? Lauri: It was a nine-month deadline, and they gave me free reign in terms of how I wanted to put it together. What I wanted to do differently with this book than the first two books was to do the chapters in categories – how different types of dreams are connected to a different part of your life. The animal chapter dream is all about how the different animals in your dreams are connected to your different behaviors. The people chapter dream is all about how the different people in your dreams symbolize different roles you play in life. The house and home chapter dream is all about your state of mind and your self-image. So each category of dream can be connected to a different part of the self. Q. Is there one category that is more dominant? What do people most commonly dream about? Lauri. I would say people are the most popular themes in dreams. It can be anything from a celebrity to a classmate you haven’t seen in 20 years, so this chapter teaches you how you can find out what part of your personality that person is symbolizing. Q. How important is storytelling to getting points across in your book? Lauri: I think it’s really important because there’s two layers of storytelling the book. One is the dream itself is a story. The dreams I feature in the book have a storyline, a main character, a conflict; they don’t always have a solution, but they have a timeline. The other layer of storytelling is telling the story of how the dream reflects the person’s personal story right now – where they are in their life; what’s going on in their life, so you kind of get two stories in one with each dream I cover. Q. Why do some people never remember their dreams? Lauri: They don’t give themselves time to remember. Creative people – the writers, the musicians, the artists – have great regard for their dreams – they’re going to remember them more. Your left-brain people – your investment banker, don’t remember their dreams as much. That’s not to say they can’t start remembering — you just have to give them time in the morning when you wake up. Before you even roll out of bed, you want to stay in the same position. Don’t move; give yourself three to five minutes still time. Don’t think about anything. Stay quiet and the dream will come back to you. Make this part of your morning routine and you’ll start remembering all your dreams. Q. How do you handle the science of your discipline – explaining it to people in a way where you won’t lose them? Lauri: I only touch on briefly in the introduction of what’s going on in the dream physiologically just to give it a foundation. Dreaming is a very complicated process – the falling asleep and waking-up process is also very complicated – turning off certain parts of the brain and waking up others. I briefly talked about how different parts of the brain are active during the dream state so you can better understand why dreams are the way they are. One of the questions I’m asked all the time is, “If dreams really had meaning, why don’t they say what they mean?” Here’s why: your brain is working differently when you are in REM than when you are awake. Your rational linear thought, which is controlled by the frontal cortex of the brain is dormant, which is why dreams don’t always seem in a straight line. 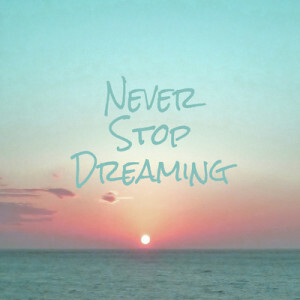 The medulla, the emotional center of the brain, is hyperactive – that’s why dreams can be so vivid. Q. You’ve been very successful marketing your book. Any tips on how authors can get media exposure? Lauri: I started in radio. That’s a great start. You’ve got to be media savvy and not just talk about your book. 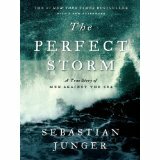 With a non-fiction book, you have to make it engaging between you and your interviewer. You want to make it relatable to viewers and listeners. The good thing about my book is people do dream and wonder – I had that built-in going for me. I wrote this book back in 2011, but I can still use it to get on interviews but I can tie in to what is going on in the news such as when Robin Williams died. I let media outlets know I could talk about the warning signs that dreams give you that you are heading into a depression. For example, we all dream in colors. But, if you are going through a very depressing time, the dream will be in black and white or the colors will be muted. You’ll dream of rain; you’ll dream of storms; you’ll have a lot of the color blue, because that is symbolic of the blues. Someone in your dream (or you) will be crying. 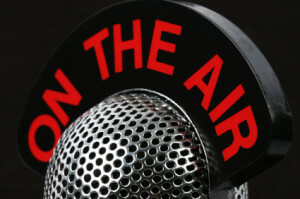 You also need to ask yourself, “Can I be a good call-in guest?” Radio stations love that. It’s not as popular on TV. Some TV shows will do viewer dreams, but usually TV is just you and the host talking back and forth. Radio loves it when you can be a guest who can drive calls. What I’ve been doing this for 15 years is that format of radio interview. People call in and tell me their dreams and I interpret them live on the spot. Look for how to make yourself the perfect guest for call-ins. For example, if you are a Feng shui expert, have people call in with their design problems or even their personal life problems and you can tell them how to re-arrange their room to fix their love life or bring in more money, etc. Q. Is radio really the way to drive book sales rather than doing in-person appearances on TV or book signings? Lauri: For me radio has been fantastic. National TV, not so much. I can get more book sales from one decent market like Dallas or Chicago than I could doing a segment on Dr. Oz. Q. Social media is very important for every author. Has it played into your strategy? Lauri: Yes, and thank God for Facebook because it actually helped me write my book. I’ve been doing this for so long so I have hundreds of dreams on file. When I started writing and dividing my manuscript up into topics, instead of going through all my files, I just threw a question on Facebook. I asked, “If you had a nightmare about a murderer or a demon, I want to hear from you.” And people lined up with their dreams. It made it so much faster. I have 48,000 fans on Facebook. I used both my fan page and my personal Facebook page for research. Q. Which social media platforms are your preferred channels? Lauri: For me, Facebook is fantastic – it helps me even in my pin-up portrait painting business. I got 100% of my pin-up portrait clients through Facebook. I paint women as a pin-up model, vintage style or modern. 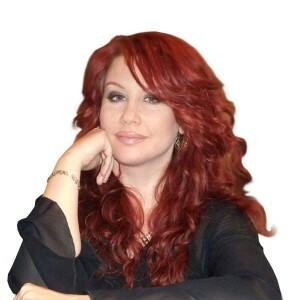 Lauri Quinn Loewenberg is a Certified Dream Analyst, syndicated columnist, author, popular radio personality, speaker and member of IASD, the International Association for the Study of Dreams, an international organization whose purpose, is to conduct and encourage research into the nature, function, and significance of dreaming. An avid artist, Lauri resides in Tampa, Florida, with her “strikingly handsome husband and very loud son.” She holds a black belt in Tae Kwon Do in order to keep them both in line. 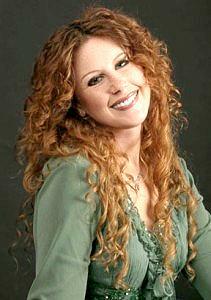 Read more about Lauri at: www.lauriloewenberg.com. What do People Dream About? looking forward to fall through, or perhaps when someone let you down. It can also be a heads-up of depression. Flying — it’s a great dream – the most common childhood dream; it tapers off as we get older and life gets harder. We lose that happy-go-lucky, carefree childlike side of ourselves. As an adult you’ll have this dream when you’ve accomplished something and feel you’ve reached a high, or when you have freed yourself from something that’s weighed you down. Really successful people get this dream a lot because they are always trying to get higher and higher. Seeing someone you’ve lost — psychologically speaking when you dream of someone right after their death, it’s part of the grief process. When it’s years down the road, they could symbolize a part of you. Dreaming about the mother you lost could symbolize how you feel about being a mother. Dreaming that she is dying or you can’t get to her could symbolize like your losing touch with your maternal instincts. If she’s helpful, you could be doing a really good job with your child. Teeth falling out of mouth — it’s a common recurring dream and it relates to communication. The most common one is teeth are falling out and you’re trying to hold them in. That’s usually connected to saying something you wish you hadn’t and wanting to put it back, whereas the crumbling, crackling, breaking teeth is connected to weak speech – maybe you didn’t stand your ground well in an argument or get your point across; you didn’t say what you wanted to say well enough. This entry was posted in Author Interviews, Book Publicity Tips, Social Media Tips and tagged Dream on It, Laura Quinn Loewenberg, Marketing non-fiction, Meaning of dreams on July 30, 2015 by AnneWainscott. The inspiration for Lee Gimenez’s first novel, Azul 7, was a SciFi short story that he first got published in Nature magazine. “I was writing sequels to my short stories,” recalls Lee, a retired technology marketing executive and military veteran. Lee says he always wanted to write books and began pursuing his craft in earnest back in 2006. He has published 11 novels over the last decade — the first five were Sci-Fi-based and the more recent ones fall under the genre of present-day mystery thrillers. “I got to the point where I like writing about things happening now – real places,” says Lee, who strives to publish one book a year. One of his more popular characters is J.T. Ryan, an Atlanta PI, who does contract work for the FBI. After crafting the what-if question, Lee writes a succinct synopsis of his novel. “If you can capture your story in one or two paragraphs, you are a third of a way done,” he says. He’s a big advocate of GMC: Goal, Motivation and Conflict book by established publisher and author Debra Dixon, co-founder of BelleBooks/Bell Bridge Books. Lee says he sets up his story on page 1 – often in the first line. An MBA grad with a career doing marketing for companies like Verizon, Lee knows how important book marketing and promotion are – he’s savvy and successful at garnering social media fans, recently crossing over the 47,000 threshold of Twitter followers. “I attribute it to following other writers,” says Lee, who has to limit his time on Twitter to a half hour a day if he wants to meet his writing deadlines. He advises writers to make good use of hashtags such as #books, #bookbloggers, #bookclub, #amwriting to get their tweets found by other authors, readers and book reviewers. He’s even created hashags for some of his more popular characters (#JTRyan). 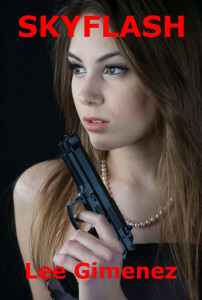 Lee is also a big believer in using all five senses in his novels – and he deftly integrates his characters’ experiences through sight, touch, taste, smell and hearing into every chapter. 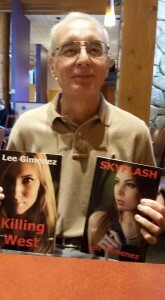 Lee Gimenez is the author of 11 novels. 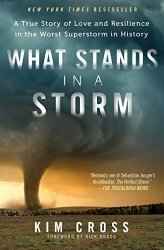 His latest thriller, SKYFLASH, was published in 2015 and is a new J.T. Ryan novel. 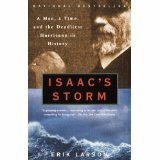 Several of his books became bestsellers, including The WASHINGTON ULTIMATUM and BLACKSNOW ZERO. 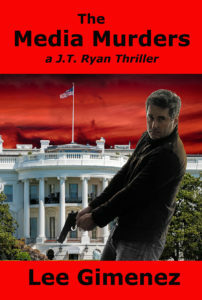 His thriller KILLING WEST was a featured novel of the International Thriller Writers Association. His books are available at Amazon, Barnes & Noble, the Apple Store, Books-A-Million, Books In Motion, and many other retailers in the U.S. and internationally. 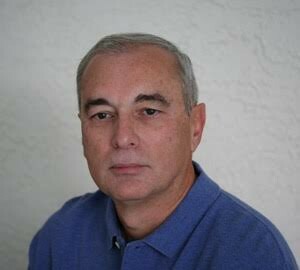 Lee is a member of International Thriller Writers (ITW) and the Science Fiction Writers of America (SFWA). 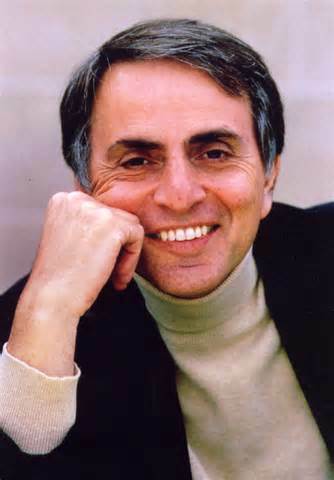 He earned a Bachelor of Science degree from Georgia Tech University and a Masters degree from Fairleigh Dickinson University. 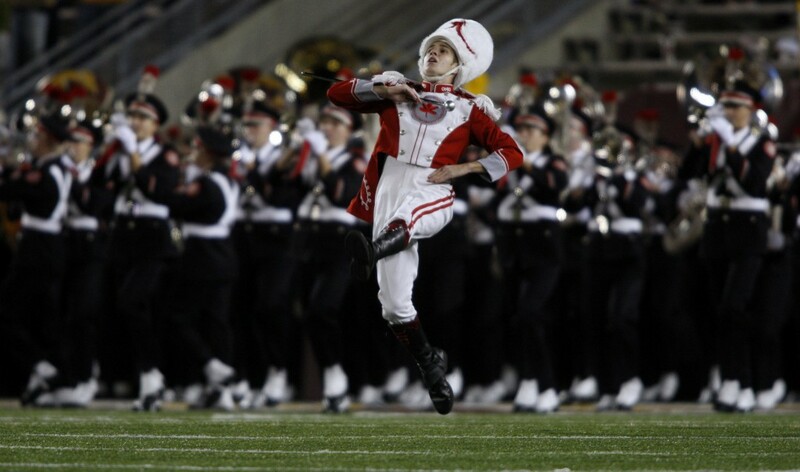 After college, he served as an officer in the U.S. Army. During his business management career, he worked for three Fortune 500 companies: Verizon, Tech Data, and M&M Mars. For more information about him, please visit his website at: www.LeeGimenez.com. You can also join him on Twitter (@LeeGimenez), Facebook, and other social media sites. Lee lives with his wife in the Atlanta, Georgia area. Lee will be at this year’s Decatur Book Festival being held in Atlanta Sept. 4-6, 2015, as a panelist on the Mystery Thrillers Panel. Atlanta area writers can also sign up for his upcoming writing class, “Ten Steps to Writing a Successful Novel.” The class will be held at the Jera Publishing office in Roswell, Georgia, on July 15th at 6:30 p.m. The cost is $10, and will feature tips and illustrated with writing examples from his own eleven novels and from bestselling authors such as Steve Berry, James Patterson, and David Baldacci. For more information or to register, visit: http://www.self-pub.net/blog/event/ten-steps-to-writing-a-successful-novel/. This entry was posted in Author Interviews, Book Publicity Tips, Social Media Tips and tagged Killing West, Lee Gimenez, novel-writing tips, Skyflash, thriller writing on July 8, 2015 by AnneWainscott. 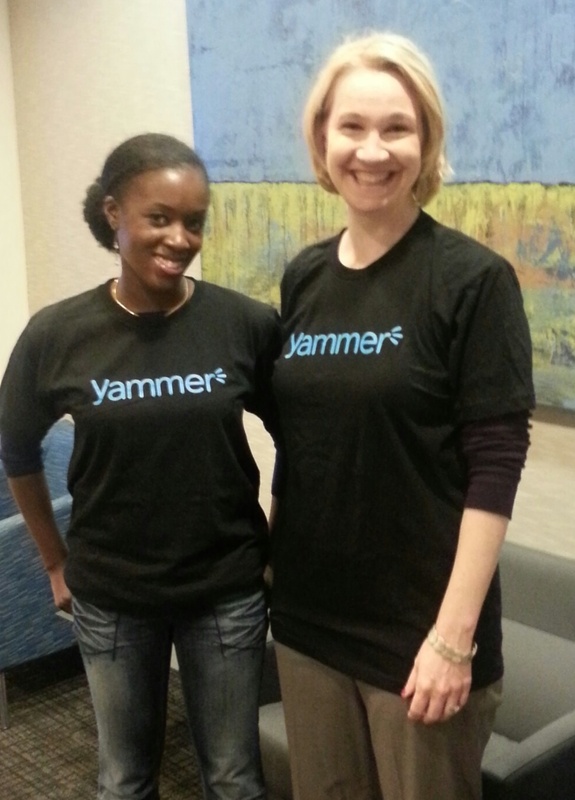 Rashida Powell and Amy MacKinnon led Cbeyond’s employee engagement campaign on Yammer. I’m marking 14 years as a storyteller to organizations by celebrating my clients’ storytelling journeys. Today, I turn to Cbeyond, a leading business technology ally, to learn about its innovative use of enterprise social networking. Cbeyond’s character and culture have long embraced engaging employees, through the example of Cbeyond’s Founder Jim Geiger, who talked about his company’s character-driven culture and the role of communication at a September 2011 IABC Atlanta meeting. Jim founded Cbeyond in 1999 out of a desire to change the dynamic for small and mid-sized businesses under-served by other communications providers. 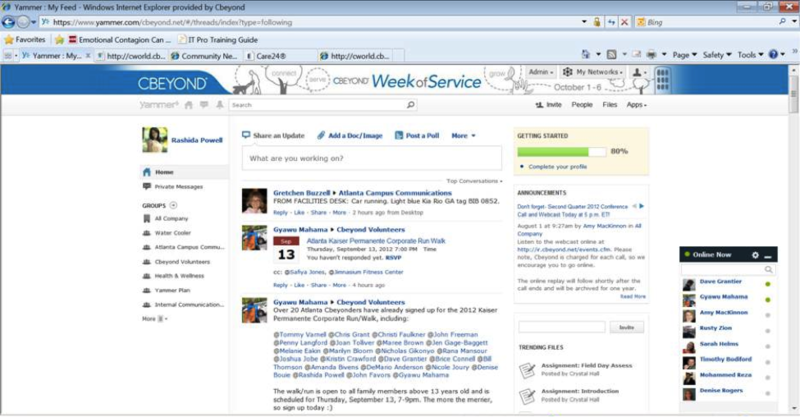 It’s not surprising that Cbeyond became an early adopter of social enterprise networking tools to bring employees together, deploying Yammer company-wide in October 2011. Within a year, its Yammer community swelled from 400 to 1,600 members. “Our vision for our social enterprise network is to help Cbeyonders collaborate more across functions, manage projects better and create a community. At the corporate level, we use Yammer to create a dialogue around our corporate strategy and initiatives – it’s all about being more transparent and open about what we’re doing,” says Amy MacKinnon, Cbeyond Internal Communications. For Cbeyond’s one-year anniversary on Yammer, the internal communications team unveiled “31 Days of Yammer”, a highly engaging campaign that included a host of activities, from daily tips to weekly contests such as the “Get Your Yam on from ANYWHERE” contest, where employees were encouraged to download Yammer’s mobile app. The month-long celebration coincided with Cbeyond’s annual “Week of Service” held in October when employees from all 15 markets engage in volunteer activities in their communities. They were encouraged to post pictures of their volunteer efforts using the #2012WeekofService tag. 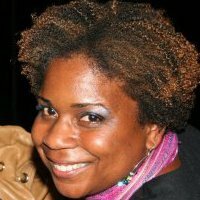 “Uploads on Yammer hit the roof that week,” recalls Rashida Powell, then-manager of the Yammer channel for Cbeyond, adding that adoption rates of Yammer have continued to grow. Yammer’s own blog credits Cbeyond’s “31 Days of Yammer” campaign that it covered in 2012 as a best practice for organizations to overcome “business as usual” and continue to create buzz and grow adoption for Yammer after the initial launch. “This effort was born when Cbeyond celebrated their month-long Yammer anniversary, and has evolved as other community managers were inspired to deliver their own and iterate on the approach,” the blog post stated, citing Manhattan Associates embarking on its own ’31 Days of Yammer’ to uncover great work, celebrate successes and coach employees on working smarter and faster. Cbeyond has continued to build momentum through feature campaigns in 2013, with themes such as a health-and-wellness for January, celebrating Cbeyond’s Character in February, and Going Green in April to coincide with Earth Day. 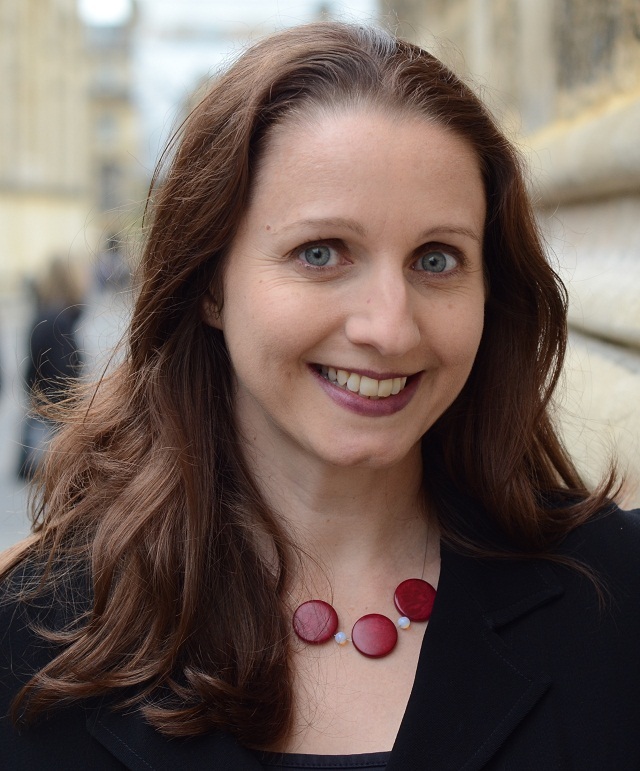 “This campaign was the launching pad for getting really focused on leveraging social enterprise networking as a strategic engagement tool,” Amy concludes. This entry was posted in Corporate Communication, Social Media Tips and tagged Cbeyond, employee engagement, employee engagement campaigns, enterprise social networking, Yammer on October 10, 2013 by AnneWainscott.